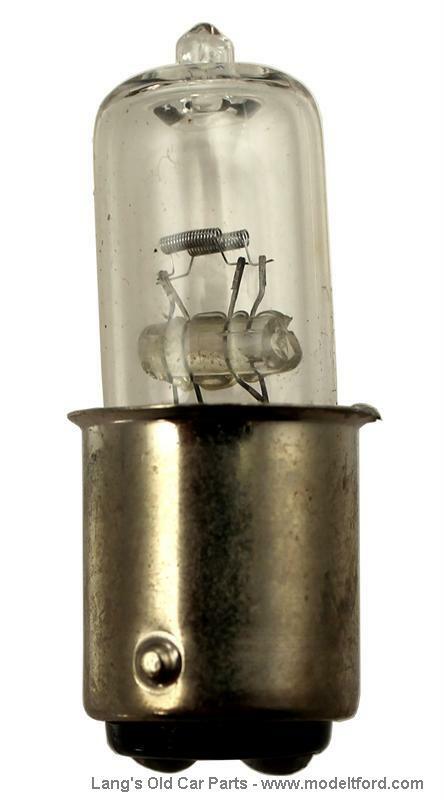 Halogen bulb for headlight. 12 Volt, 35/35 Watts. Halogen bulbs provide a brighter light than the standard bulbs, (roughly twice the light), with no added current drain. These bulbs are a direct replacement for the original style bulbs and do not require any special sockets and do not alter the look of your vehicle. Made with quartz glass for long life. How do I remove the headlight bulb from a Model T? Take the lens and headlight rim off first by pushing in on the rim slightly and rotating it counterclockwise, and then you will be able to get to the bulb from the front. 45 out of 72 found this answer useful.